Kentucky Route Zero Act Two will be out next month, the second step toward a "tragic" finale in January. The first of five planned chapters of Kentucky Route Zero came out in January and I absolutely loved it, as you can see in this enthusiastic review. But what of Act Two? Cardboard Computer said in last year's KRZ Kickstarter that it intended to release new chapters every two to three months and that schedule seems holding up, as the second act is set to come out in April. Developer Jake Elliott described the schedule as "pretty aggressive" but said the team has its ducks in a row and feels pretty good about it. He also made the rather startling point that the game is not going to end on a happy note. "It's a tragedy," Elliott told Joystiq. "The story's a tragedy, it's a tragic ending. Hopefully it won't be too bleak, but it's in that tradition." And despite all the strangeness and mysticism, he said that it's actually a game about the vagaries and "esoteric devices" of the financial world, and the struggles and burdens they impose upon average people. It's not exactly uplifting news, but with four acts still to play out there's a lot of exploration and discovery remaining, and some characters we haven't even met. And the "promise," such as it is, of an ending that isn't all sunshine and lollipops isn't entirely a surprise; there are hints of darkness in the first act, a vague feeling that something is amiss and that somewhere, a shoe is waiting to drop. 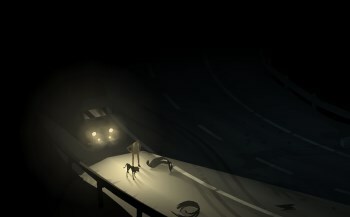 A solid release date for Kentucky Route Zero Act Two hasn't been announced, but you can keep an eye on the action as it happens at kentuckyroutezero.com.